Secretary of State Mike Pompeo has announced the appointment of Peter Pham as the U.S. special envoy for Africa’s Great Lakes Region. According to a State Department’s statement, Peter Pham, director of the Africa Center at the Atlantic Council think tank, will coordinate U.S. policy in the region, with an emphasis on strengthening democratic institutions. Pham will also work to encourage “the safe and voluntary return of the region’s refugees and internally displaced persons, amid renewed tensions in Burundi and the Democratic Republic of Congo. 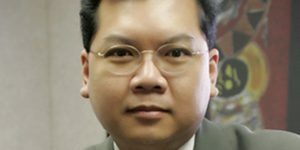 Peter Pham will assume the work previously undertaken by Senior Coordinator for the Great Lakes, Ambassador Larry Wohlers. U.S. ambassadors to the countries of the Great Lakes region remain in charge of bilateral relations. The Great Lakes region includes Burundi, Rwanda, Uganda, Kenya, and Tanzania, in addition to Democratic Republic of Congo (DRC). DRC is one of the most unstable countries in the region. Pham’s appointment comes ahead of December 23 presidential elections that are seen as critical for the future of the DRC. In an opinion piece in The New York Times headlined “To Save Congo, Let it Fall Apart,” Pham said the world could then devote scarce resources to humanitarian relief and development instead of preserving the country’s unity. Posted by Geraldine Boechat on November 12, 2018. Filed under News. You can follow any responses to this entry through the RSS 2.0. Both comments and pings are currently closed.